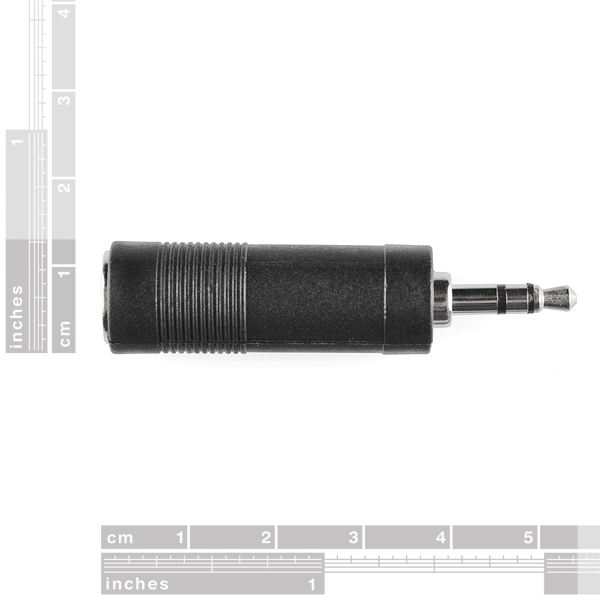 This is your standard audio jack "smallerizer." Plug a 1/4" cable into one side and now it will magically fit a 3.5mm jack. 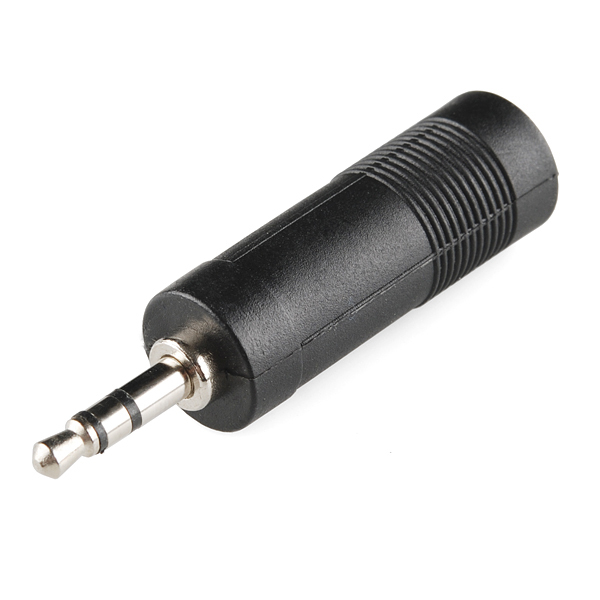 These are stereo to stereo connectors so you won't even lose your stereophonic experience in the process! I love how my local RadioShack charges 12 times the price. In all seriousness, I'm gonna start calling them "smallerizers" now. 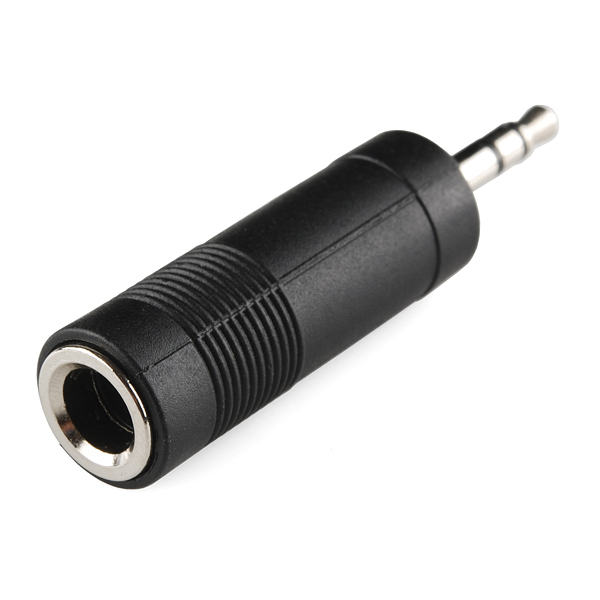 What would be SUPER-sweet is a 4-POLE 3.5mm jack (and female adapter). With the 4 different conductors, you could create custom USB-to-3.5mm connectors, or really useful VCC/RX/TX/GND connectors. Not to mention the fact that you could actually break out the 4-pole stereo/mic on an iPhone/Android device. Any chance on getting some of these? I could see that being useful. What gauge/what current limit does headphone wire have? I've also seen people use RCA connectors for power between different parts of projects, which I think is a good idea if it's being used often since those things don't seem to wear out that much.